Inspired by the classic Moog modular synthesizers that came before it, Grandmother's sound engine, modulation engine and on-board spring reverb tank are completely analog, resulting in an unrestricted sonic vocabulary of immeasurable beauty and power. In addition, Grandmother also features an easy-to-use Arpeggiator and Sequencer for added enjoyment and programmable syncopation. - 1/4" External audio input for guitars, drum machines, and more. 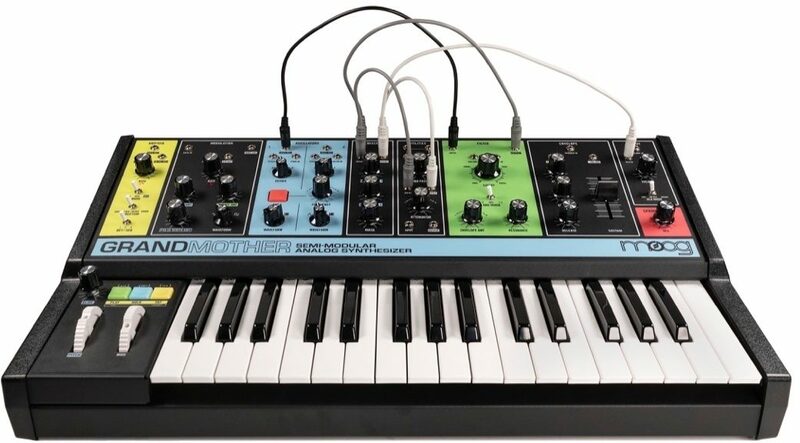 zZounds is an authorized dealer of Moog Music products. Overall: Wow! What a refreshing surprise from Moog! Other companies have copied/imitated their products. They just make something really extraordinary. 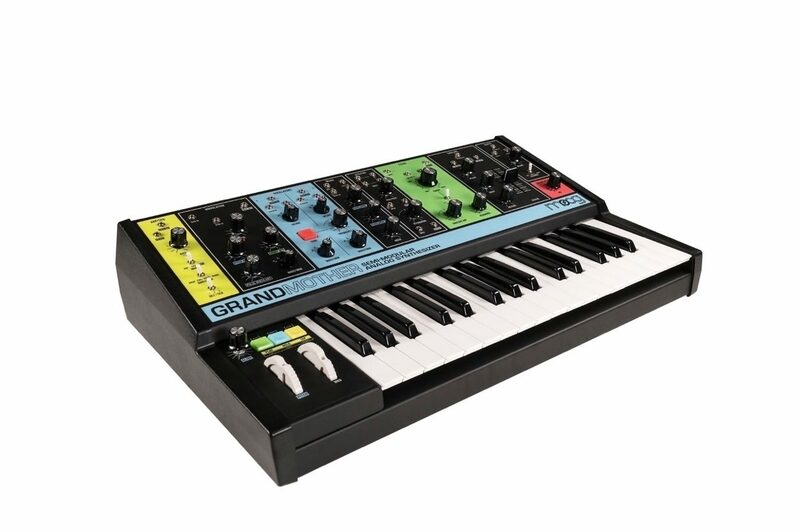 This is my favorite of all the synth currently on the market. Making it fun to create your own sounds. Well Done! Style of Music: Electronic, Soundtrack, New Age, Techno... the works! 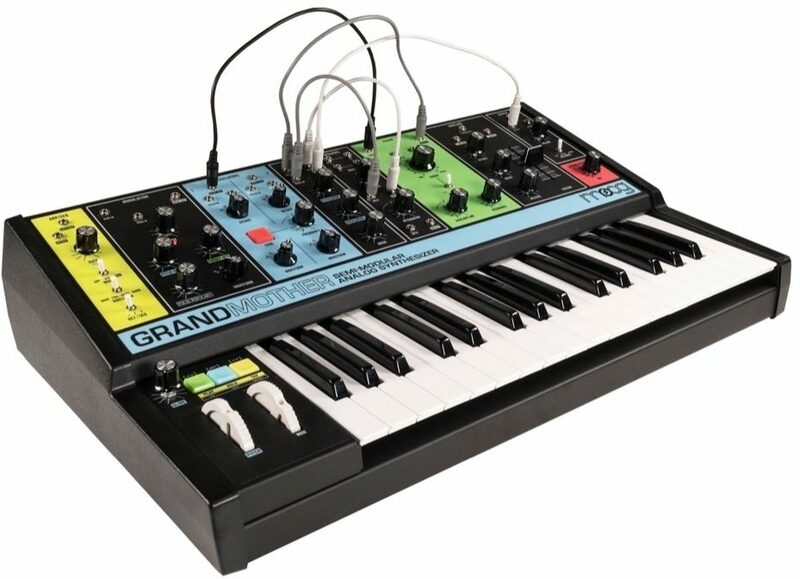 "Moog Grandmother is an amazing synth!" Overall: This synth really is awesome and has so many sonic capabilities. I typically control notes and tempo via midi through my DAW (as master) since I am not a great keyboard player (yet!) plus it gives me a wider range of notes to experiment with. Creating interesting and usable sounds have been insanely fun and really puts me in a trance sometimes when I dim the lights and get in the zone. Low or high frequencies sounds very pure and clean. The spring reverb is nice, but for the sounds I like to make I have been using Eventide Space and TimeFactor pedals with the Grandmother and I just love everything that comes out of this synth. It's pretty much impossible to make a bad sound. One of my best musical purchases in a while.